For Part Four click here. The Minnesota TImberwolves have re-signed big man Nikola Pekovic. But will the signing upset one of the teams’ other stars? 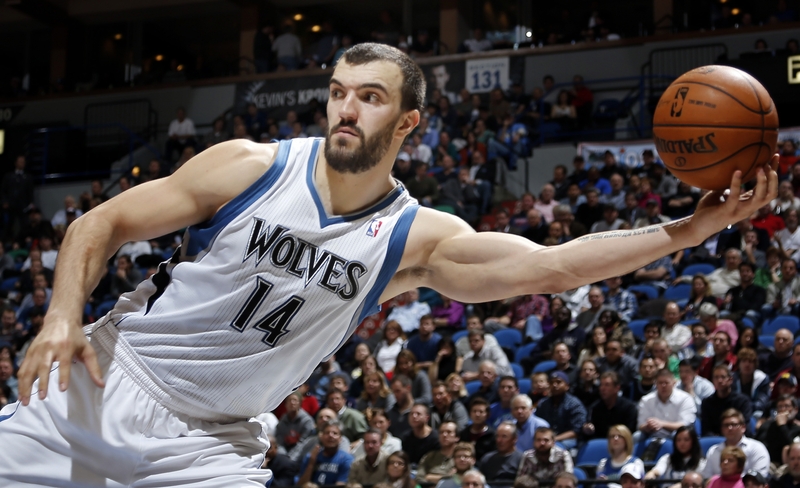 The Minnesota Timberwolves have secured the signature of Nikola Pekovic. The giant Montenegrin finally penned a five-year deal worth $60 million dollars, after a lengthy negotiating process. Pekovic is coming off a career best year that saw him average 16.3 points and 8.8 rebounds per game. The Timberwolves will be looking forward to pairing Pekovic with a healthy Kevin Love in their frontcourt next season. Both Pekovic and Love suffered through injuries during the 2012-13 season – Pekovic missed 20 games, while Love missed 64. If they can both stay on the court next season, Pekovic and Love could form one of the most intimidating and dynamic frontcourt partnerships in the league. Love is a relentless rebounder who has also developed into a devastating marksmen from the outside. Meanwhile, Pekovic is a man-mountain – standing 6’11” and weighing nearly 300 pounds – who is also a fantastic rebounder, and knows how to use his size around the basket, finishing 65.4% of his attempts at the rim. The Timberwolves frontcourt’s ferocious rebounding and inside-outside pairing will be a headache for opposing coaches in 2013-14. However, there are several dangers surrounding the Pekovic signing. Firstly, is the obvious worry that injuries will continue to keep Pekovic in street clothes. He hasn’t played more than 65 games in a season. Then there are issues surrounding how Kevin Love will take the signing. Love was disgruntled that the Timberwolves would only give him a four-year extension in 2012 – he wanted five. How well will he take the news that Minnesota were willing to give Pekovic five years when they were so fervently against giving Love an extra year? Last season, the rumours began to pick up steam regarding Love being on his way out of ‘Sota, could Pekovic’s contract be enough of a slap in the face to convince Love he wants out? Greg Oden has signed a one-year deal with the Miami Heat. Here’s to hoping he’s put his injury history behind him. The Miami Heat have offered former No. 1 pick, Greg Oden, an NBA lifeline, after they signed him to a one-year, $1 million deal. Oden hasn’t played in the NBA since the 2009-10 season, when he was a member of the Portland Trailblazers, however he is still on 25 years old. The signing is a low-risk, high-reward move by the two-time defending champions. The Heat are often criticised for their lack of size and rebounding, and with little room to move around the salary cap, Oden offers Miami another big body at a discount price. 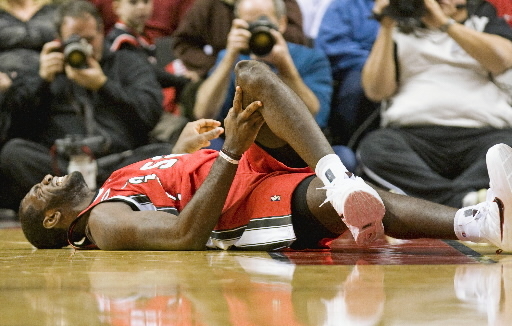 While Oden’s injury history is well documented, Miami aren’t expecting him to come in and produce No. 1 pick numbers immediately, if at all. Oden’s presence on the roster gives Eric Spoelstra an option at centre who isn’t called Chris Anderson or Joel Anthony, which is always a good thing. Before he hurt himself in 2009-10, Oden was averaging a respectable 11.1 points and 8.5 rebounds in only 23.9 minutes per game. If Miami can get anything close to that production from the former Ohio State standout, Oden could become the bargain buy of the season. Mo Wiliams will add desperately needed depth to Portland’s bench next season. 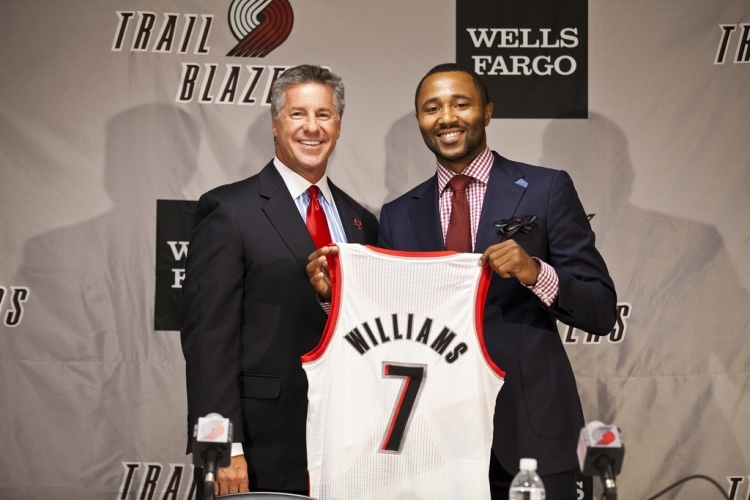 One-time All-Star guard, Mo Williams has signed a two-year, $5.6 million contract with the Portland Trailblazers. Joining his fifth team, after an injury-riddled season with the Utah Jazz, Williams will be backing up 2012-13 Rookie of the Year, Damian Lillard, in the Blazers backcourt. While injuries restricted him to 46 games last season, Williams still managed to average 15.0 points and 7.2 assists per game for the Jazz. Williams’ signing will be a welcome one for Portland, who’s bench was among the worst in the league last season. The former Alabama star will provide veteran leadership to a young Blazers team looking to make a push for the playoffs in 2013-14. The New York Knicks have signed nine-year veteran guard, Beno Udrih, to a one-year, $1.27 million deal. Udrih will replace the retired Jason Kidd in the Knicks’ backcourt, joining the rotation with Raymond Felton and Pablo Prigioni. Udrih averaged 10.2 points and 6.1 assists a night in 27 appearances for the Orlando Magic last season. Four-year veteran forward, DeJuan Blair, will join the Dallas Mavericks next season after agreeing to a one-year, $1.4 million deal with the team. Blair received little playing time under Gregg Popovich last season, only averaging 14 minutes per contest, and posted a career-low averages of 5.4 points and 3.8 rebounds a game. However, his Per-36 minutes production of 13.9 points and 9.7 rebounds a game will have Dallas hoping Blair can become a bigger contributor given more opportunity. After spending a year with the Artland Dragons in the Basketball Bundesliga in Germany, forward, Ryan Gomes, will return to the NBA after signing a contract with the Oklahoma City Thunder.